With the ICC World Cup around the corner, does AB de Villiers have a debt to pay to his nation? J.J. Thomson's model of an atom was one of the breakthrough discoveries that have paved the way for the arrival of modern structural chemistry. Thomson's atomic model, better known as the watermelon model or the plum pudding model, put forward the idea of the existence of positive and negative charges within an atom, whose magnitudes being equal, nullified the presence of the other. The generalization derived, would be that good exists with bad; both obtain their fuel from each other. AB de Villiers' accomplishments on the cricket field know no bounds. His audacious array of pulls, sweeps, ramps, and drives can show you his belligerent best, for the unceasing genius that he is, whether when setting new records at the Wanderers or entertaining crowds at Bengaluru. Yet, he could turn up in the next Test match, in the classical white flannels beneath which lie his muscular body, with determination in his eyes and steel in his heart, to churn out workman-like innings, batting for a countless number of hours, taking his team from shambles to summits. The statistics tell barely half the story, but from his 114 Tests and 228 one-day internationals, de Villiers has aggregated over 18,000 runs, each of those made with an insurmountable fortitude and undying resilience. "Ever since I was a boy, I have had a recurring dream - the same dream over and over again, to a point where the exact sequence of events could not be more vivid or clearer in my mind. "It is the ICC Cricket World Cup Final, and I am fielding at cover. The batsman is left-handed and he drives, making a solid connection. I dive to my right, gather the ball at full stretch, spring to my feet, run towards the stumps and take off the bails. We all appeal. The umpire's finger is raised, and South Africa win the World Cup. Then, agitated and excited, I wake up...."
Nothing epitomizes de Villiers' appetite for a World Cup victory as much as these lines. Here is a star, ready to put in the hard yards for his country, craving to go for the full monty come to the big stage, and cast a smile on the faces of the 56 million inhabitants of South Africa. Here is a phenomenon, that is the biggest challenge for any professional cricketer - making merry with the World Cup trophy, something that has been the most glaring omission from the great South African trophy cabinet right since that famous day when the scoreboard infamously read "22 to win off 1 ball". Then came 2015, when a 15-man Proteas side left for Australia, visualizing themselves lifting the coveted trophy at the Coliseum that the MCG is, crying their eyes out in tears of happiness, after 23 years of hope and promise had delivered six national disappointments. 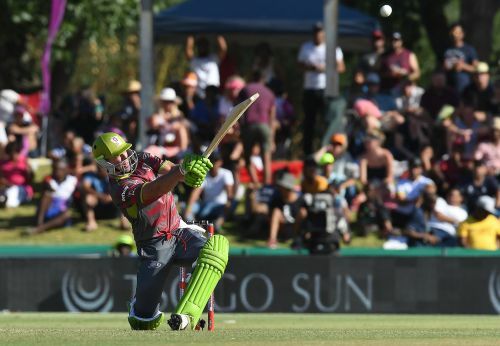 As destiny would have it, however, South Africa were knocked out of the tournament by a Grant Elliot six, leaving de Villiers and the others in splits. 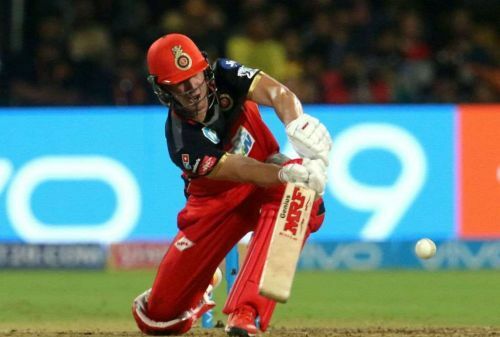 Two years later, in May 2018, de Villiers came out with a shock decision to hang up his boots and retire from international cricket, following a disappointing season with the Royal Challengers Bangalore in the IPL. Incidentally, he left two billion cricket-watching fans across the world scratching their heads, unable to make head or tail of this unfathomable announcement. So, what was behind this depressing demise of one of international cricket's greatest phenomenons - Mr 360 degree, as he is fondly called - that plunged into a relentless ocean of fans like a seagull capturing its prey, and left them hoping that it was just one of those baseless rumours? What was behind 'the finest batsman of his generation, as described by Virat Kohli, deciding that he was getting 'tired' despite a fairy-tale Test series against Australia, where he bailed his team out of precarious situations on more instances than one, as he has done throughout the bulk of his career? And that, after a year-long break from international cricket post the Champions Trophy. Ten months down the line, after Cameron Bancroft has finished serving his ban, the reason behind AB bidding adieu to all his Protea fans and well-wishers has, probably, manifested itself before us. It is all known to have boiled down to a heated discussion, within the closure of four adjacent claustrophobia-inducing walls, where de Villiers was at loggerheads with the CSA - South Africa's governing body for international cricket. Apparently, de Villiers was in negotiations with Cricket South Africa on the renewal of his contract in late May last year. 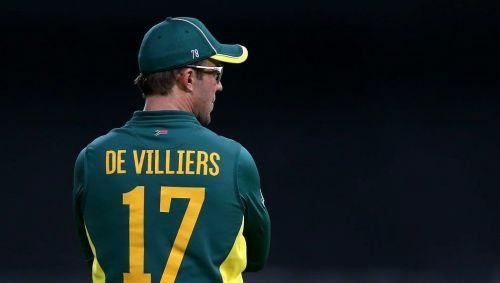 His request, though greatly unexpected, was to give credence to his not playing one day internationals and T20Is for South Africa, except at the World Cup, and instead go from city to city, league to league, trading his insane hitting prowess for the big bucks that his prided African green jersey and helmet would not fetch him. With the CSA not being on the same page as him, AB is believed to have impulsively decided to call it quits from international cricket, leaving South Africa bereft of one of its greatest cricketing icons. While his decision to play league cricket is an absolutely personal thing to do, and is only comparable to South Africa's endless list of Kolpak cricketers, and should hence have nothing to do to irk fans and experts, what is remarkably ironical is his indefatigable voyaging through the boundless sea of domestic T20 leagues, a morbid paradox to his poignant proclamation that he was getting 'tired'. "For me, in the green and gold, it must be everything or nothing. I will always be grateful to the coaches and staff of Cricket South Africa for their support through all these years. It’s not about earning more somewhere else, it’s about running out of gas and feeling that it is the right time to move on. Everything comes to an end." He signs off by reiterating that he would certainly not miss the game and wouldn't want to pick up the bat post-retirement. 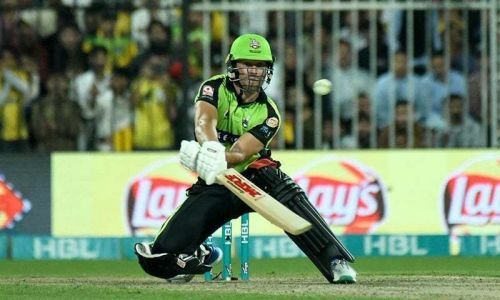 "I have no plans to play overseas, in fact, I hope I can continue to be available for the Titans in domestic cricket. I will continue to be the biggest supporter of Faf du Plessis and the Proteas. 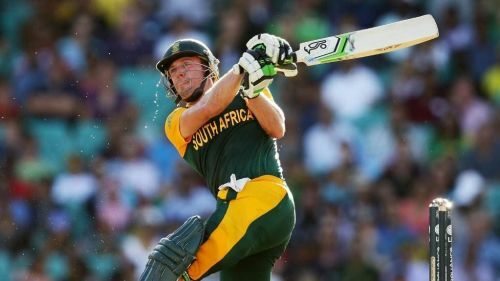 Recently, de Villiers has just signed a contract with English club cricket giant Middlesex for the T20 Blast in England, set to be held later this year. That, after stints with the Rangpur Riders in the BPL, the Lahore Qalandars in the PSL, and the Tshwane Spartans in the Mzansi Super League. 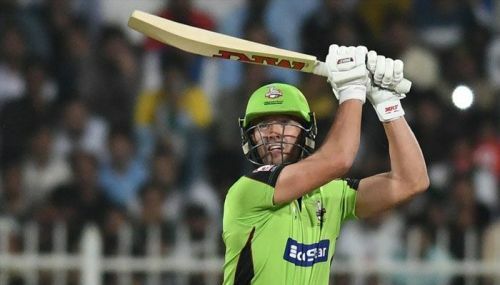 Invariably, he is headed to the Indian Premier League, come mid-March, and later possibly to the Big Bash, where he has been on the radar of many a team for the past six years. AB de Villiers, one of the greatest batsmen to have ever played the game, the linchpins of the South African middle order, the most valuable cricketer on the planet, the biggest advertiser of the Gentleman's game, being a victim of the pressures of financial stability? We so wish that wasn't true. However, the time has come, perhaps, when T20 league cricket begins to climb all the ladders, and international cricket falls prey to the snakes called dollars, and young cricketers begin to forget the value of Test cricket as the true test of the mental and physical ability of a player. How many examples do we have of that - the Gayles, the Russells, the Bravos, the Rainas. The list is endless. The Kali-Yug of cricket, if we would like to call it so. However, as JJ Thomson said, every good needs to be balanced by a bad, and de Villiers' predicament is only further vindication of that. SA need him at the World Cup, but can de Villiers spring a rabbit out of the hat and make a comeback?